Hamstrings are a major area of injury for athletes. Healing this area quickly and/or preventing injury will keep you on the field. Previously I mentioned that utilizing a calf stretch first will help you to relax tissue so you can stretch your hamstrings. The next area to stretch is your glutes. In my experience as a Stretch Therapist at Triangle Triggerpoint Therapy (www.triangletrigger.com) in Raleigh, NC, the area in the lower body that I see the most problems for people is the glutes. I think this is simply because it is not an area most people think about stretching. This can contribute to lower back pain and people “pulling” their hamstrings. The glute stretch that will give you the best results is done from a supine position (lying on your back). Bend your knees and keep your feet flat on the floor for support. Move your stretching leg so that it stays at a 90 degree angle but rotate at your knee to bring your foot and knee close enough to grab with your hands. This is the start position. Breathe out and use your inner thigh muscles and hip flexors to activate into the stretch while supporting and assisting with your hands. Keep your lower leg level and in the same position during the stretch and only move your upper leg. This will isolate your glutes. Hold the stretch for 1 to 2 seconds and release. Follow the technique illustrated on the Youtube video to perform 3 to 10 repetitions per set and stretch both sides equally. Repeat sets as needed. This stretch and a lot more will be covered in my book, Focusing Martial Arts Power, 2nd Edition, which I am working on now. Thanks and look for part III, Bent Knee Hamstring Stretch. I started martial arts training in 1984 at a Tae Kwon Do school in Virginia. Between 1987 and 2001, I trained at 9 other TKD schools from NC to LA to TX. The other day while practicing fight scenes for the Lao Warrior movie, I was reminded of my first day training Muay Thai in 2002. I kept getting kicked in my knees and quads because I wasn’t used to checking leg kicks. Then, just as I started to get into the habit of raising my leg to check, we started working on clinching and throwing knees. If you are not used to someone grabbing your neck, pulling you down and slinging you around while they land knees, it can be frustrating. While I am glad that I studied TKD in the 80’s, the martial arts of today are on a different level. When you train with someone who does Jiu Jitsu every morning and Muay Thai every evening, plus has judo and wrestling skills (i.e. an MMA fighter), you are humbly reminded that you spend most of your time every week filling prescriptions. My base will always be TKD, so I can still throw kicks with the best of them, but I certainly have found the motivation to get back to work on my Muay Thai and staying well-rounded. I look forward to showing what I learned in the upcoming movie Lao Warrior (2014) as well as in the second edition of Focusing Martial Arts Power. Thanks and see you in the gym. I was walking out of the gym, and there were several young people sitting around waiting to be picked up. Each one of them was hunched over as if they had kyphosis, with their faces in their phones. The first thing I thought of was that we are going to have a whole generation of people with major neck, shoulder and back problems. I think this is already starting to manifest because I see too many young people coming in to get muscle relaxers and narcotic pain meds at my pharmacy. The bad thing is, muscle relaxers and narcotic pain meds do nothing to correct the problem (NSAID’s do help with inflammation). They only mask symptoms while causing side effects and getting people addicted. Trust me when I say you want to save the road of medications and surgery as an absolute last resort because it is a dead end. You will get a much greater benefit from learning how to stretch as well as finding a great Neuromuscular Therapist or Deep Tissue Massage Therapist. We are very lucky in Raleigh, NC to have Triangle Trigger-point Therapy, where Teri Bellairs works her magic helping people. As I have mentioned before, Active Isolated Stretching (AIS) is a great way to improve your flexibility while strengthening your muscles. It’s even better if you can find a partner who can assist you beyond your activating muscle’s limits. With AIS you hold each stretch for two seconds only, which is different from most other methods. If you don’t have a partner, you can use a rope, towel, martial arts belt or a wall to give you the extra stretch needed to release tension. Stretch periodically throughout the day for best results. The first chapter of my new book includes a detailed stretching regimen. 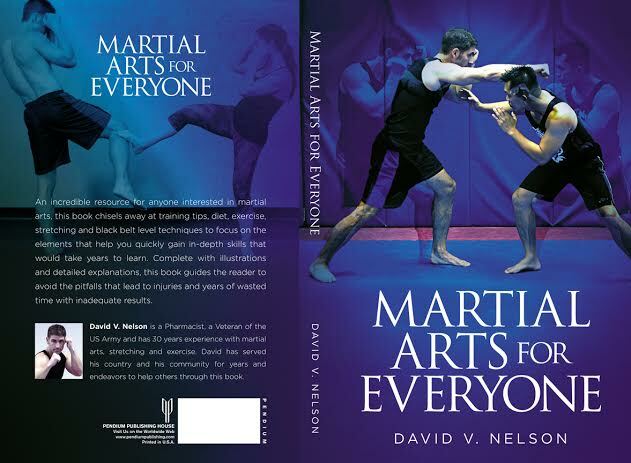 Look for Focusing Martial Arts Power, 2nd edition later this year. Thanks.